For over a decade, residents of the O Calvario and A Doblada neighborhoods in the Spanish city of Vigo have been living in fear of finding their cars scratched or with toothpicks jammed in the keyhole. The culprit? A 79-year-old man who has reportedly vandalized over 1,000 cars in the last year alone. Most often than not, vandals try to make sure there are no witnesses before damaging someone else’s property, but that’s not how Jose Antonio V., a 79-year-old man from Vigo, operates. He scratches parked cars and jams toothpicks into their keyholes in broad daylight, with a total disregard disregard for witnesses. And if someone dares to say something or try to stop him, the old man gets aggressive and often hits people with his cane. Police estimate that last year alone, the notorious vandal damaged around 1,120 cars, and he’s off to a “great” start in 2019 as well, with evidence linking him to over 120 vandalized vehicles. It’s fair to assume that someone so committed to vandalizing parked cars at random suffers from mental problems, but the doctors who evaluated him last year say that he is cognitively well. He agreed to check himself into the hospital to have his mental state assessed, at the request of local police, but after three days doctors discharged him with a clean bill of mental health. Doctors concluded that the only condition he suffers from is a complete lack of empathy. Stubborn is a very accurate description of this elderly vandal. Despite having been arrested dozens of times over the last few years for property damage and physical aggression against others, he refuses to change his ways. He goes out on the street and scratches cars using a key or metal coins and sticks wooden toothpicks into their keyholes. Jose is notorious in the two Vigo neighborhoods he operates in. Almost all the locals know about him, and there are warning posters with his face on them on every block, so people who don’t know what he looks like can watch out for him. 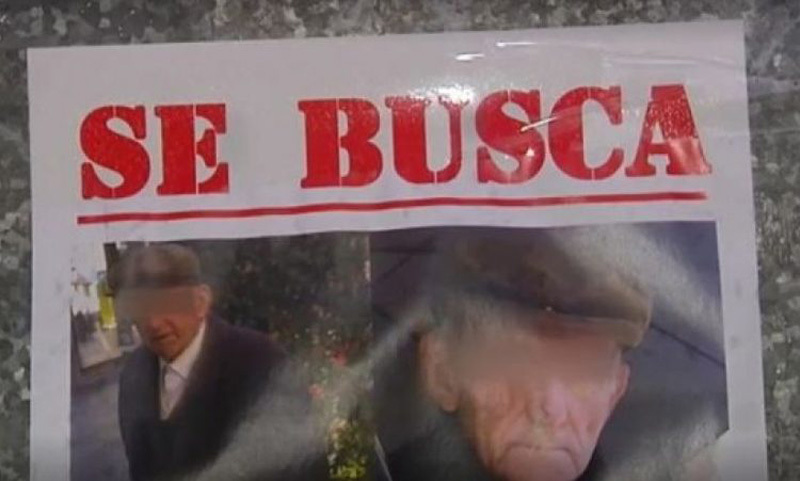 A spokesperson for the Citizen Security Brigade of the Vigo Police Station told reporters that residents of the O Calvario and A Doblada neighborhoods are scared of the 79-year-old man. They are afraid to leave their cars parked in public places, but also to confront him should they catch him in the act. The vandal has previously attacked some of his victims with a wooden cane or an umbrella, even breaking a man’s nose and cracking his glasses. The local police estimates that Jose Antonio V. has caused around 500,000 euros in damages just last year, but there’s not a lot they can do to stop him. They have arrested him more than a dozen times in the last few years, written him countless fines, but as soon as they release him, he picks up where he left off.